India Times – Eoin Morgan’s choice to chase on a deteriorating surface at Headingley got overshadowed by the brilliance of a jaw-dropping, more befittingly so a ‘bat drop’ century from Joe Root. Eoin Morgan’s choice to chase on a deteriorating surface at Headingley got overshadowed by the brilliance of a jaw-dropping, more befittingly so a ‘bat drop’ century from Joe Root. A comprehensive show with the ball and then Root and Morgan’s 186-run partnership saw England stomp over India by 8 wickets. 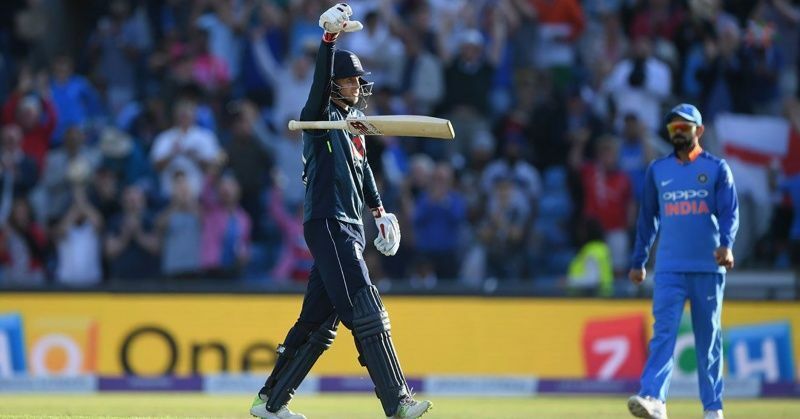 Notching up his hundred along with the winning runs, England’s Root dropped his bat on the field, perhaps a message for all the critics – Root Out! Chasing a modest total of 256 runs on board Root and Morgan presented composure and character as they struck with finesse and ruthlessness as well. As Virat Kohli mentioned England’s comprehensive batting and bowling marked the difference between the two teams, wrist spinner Adil Rashid emerged as the most effective bowler in both of England’s win.